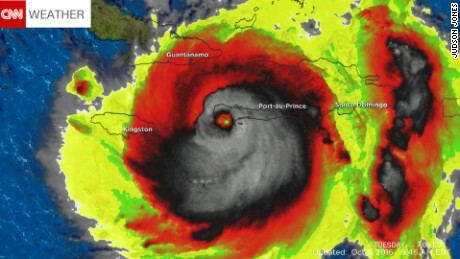 Hurricane Mathew (SKULL SHAPED) - Horror.com Forums - Talk about horror. One of the nastiest hurricanes ever is causing severe damage to Cuba. We on the East Coast are catching the tale of it. This is a bad one people. It's even shaped like a skull. Last edited by anglewitch; 10-07-2016 at 09:22 AM. Hate to say it but we feared the worst for you Warlock in the demon hurricane. Glad you're alright. I don't see the skull. I could never live in a hurricane or potentially natural disaster zone. People saying abandon your home. Why setup a home if you have to leave your belongings behind immediately? What if you had rare horror movie props or signed posters? That sort of area is best as a vacation area. Were fine over here now. We got a lot of flash flood warnings, amd the power was almost knocked out. I know this is a crappy drawing of a skull, but can you see the profile now? I was looking for eyes and teeth. I see it though.